Forget about all of the annoying and evil ads that appear every time you browse the web and start blocking them with one of the best ad-blockers available on the iOS platform. The app is called Clear and it is easy to use. This iOS app provides with multiple helpful features and wonderful, smartly organized user interface. Browsing the web via your Safari browser has never been easier and simpler. 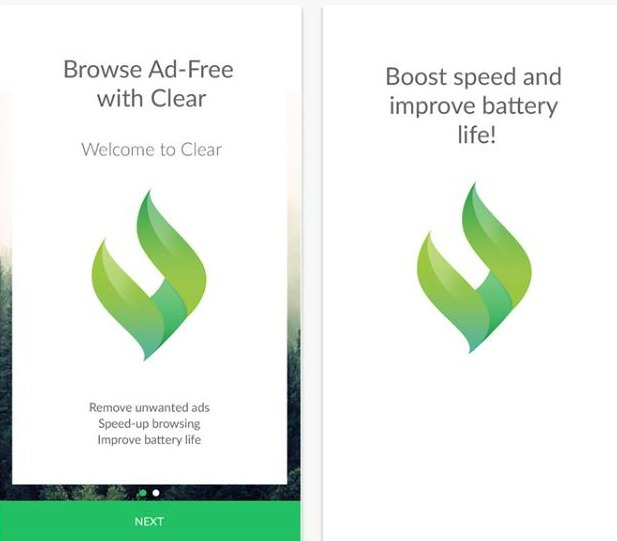 Clear allows you to browse ad-free, search through the web and boost the speed of your battery. The boosting can make you browse 4 times faster and it can improve the life of your battery up to 20%. Reducing the data consumption on Cellular and Wi-Fi can be higher, up to incredible 50%. Say goodbye to the clutter within few steps configuration. If you can't manage to configure, you can tap on the featured "how to" button and read the instructions within. If you want to view ads from specific websites, you will be able to enter and add them in your own whitelist. Not using any tracking systems, you can freely browse anything online and block the evil ads that annoy you. Download this unique app for free on the App Store.